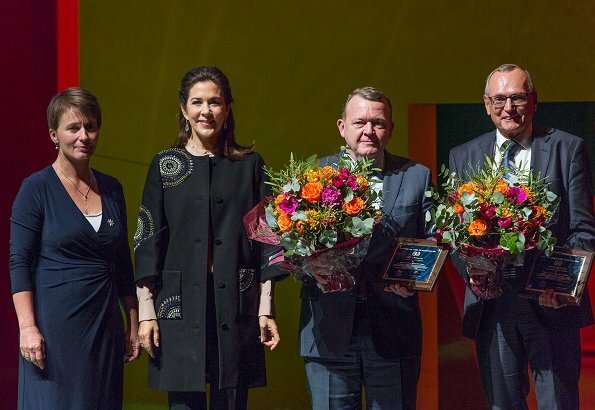 Crown Princess Mary presented Danish Cancer Society's 2018 honor award to Prime Minister Lars Løkke Rasmussen and Bent Hansen with a ceremony held at Royal Danish Playhouse in Copenhagen city of Denmark. The award which is presented on the occasion of February 4 World Cancer Day is given to a person or a group who made extraordinary contributions to fighting against cancer. The award is 50.000 DKK. Very nice. 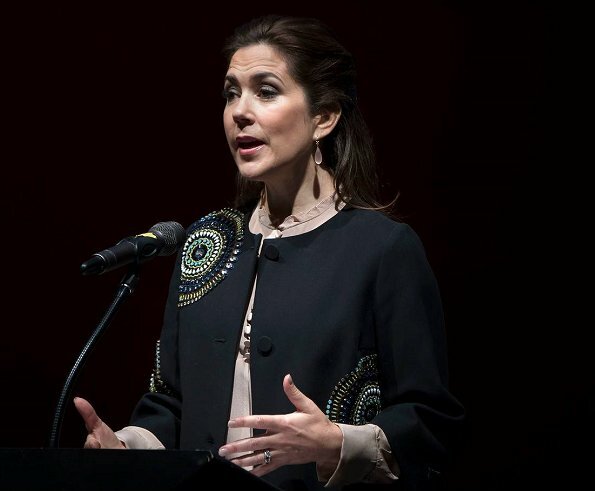 The jacket looks better with this lower-necked blouse.